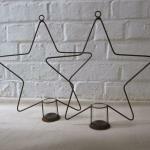 Wire tea light holders. 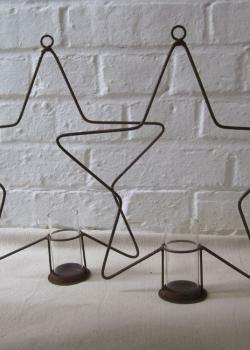 Hang these stars or place on a table. 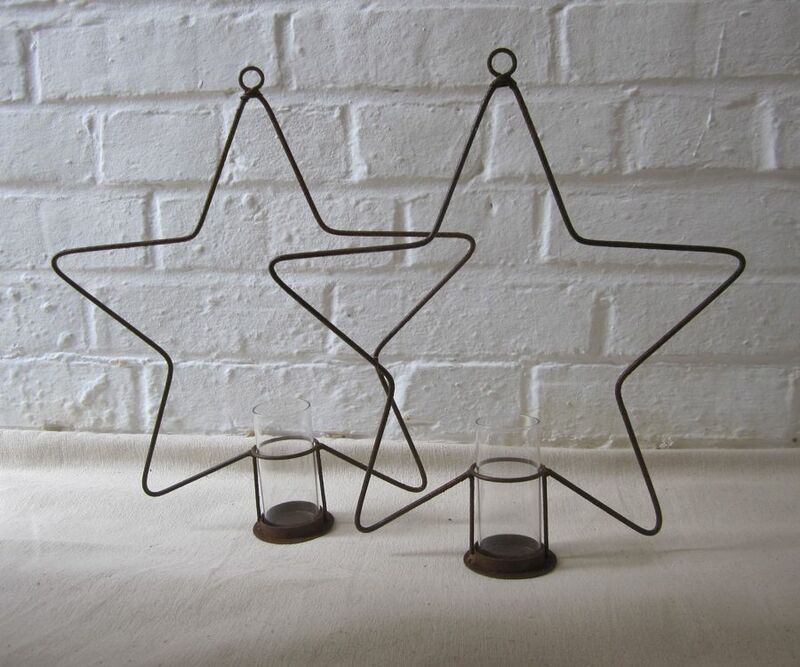 The rusty finish is perfect for a vintage look.